They say there’s no such thing as bad publicity, but Frank Ocean might have a thing or two to say about that. Since he published a certain Tumblr post (which was initially planned to be included within Channel ORANGE itself), he’s become one of the most talked-about artists on the planet. There have been countless features, articles and op-ed pieces about him, though depressingly few have focused primarily on his music. Sure, he’s had some healthy record sales in the aftermath but you can’t help but think that nobody would want the scrutiny of the media turned on them in such a fashion. Ocean’s Tumblr post and the ensuing hubbub revealed several things – notably that he writes absolutely beautifully – but it really said more about us than it did him. It told us that, despite it being 2012 (2012?! ), who an artist fancies is still more newsworthy than the art they create. It told us that many people fall into two groups: homophobes and people who are so desperate to show they’re not homophobic that they loudly congratulate themselves for being comfortable with the sexual preferences of others – you know, standard human behaviour that you’d hope would be the norm and needn’t be accompanied by a fanfare of self-recognition. Finally, it taught us that, by and large, people have a poor understanding of the spectrum of human sexuality. Ocean had spoken about sleeping with women previously; therefore his falling in love with a man doesn’t make him gay any more than eating a tofu burger makes you a vegetarian. Of course, all this scandalised whispering and hypothesising has overshadowed the release of this record and, in the rush to make a point or three, this review has fallen into the same trap as so many before it. Channel ORANGE has been one of the most anticipated albums of the year and rightly so; on his 2011 mixtape, Nostalgia ULTRA, Ocean demonstrated that he’s an exciting addition to the world of popular music, with a wealth of ideas and a willingness to experiment which far outstrips the majority of his R&B peers. Such was the quality of Nostalgia ULTRA, it was difficult to keep three things in mind: that it was only a mixtape, that he is affiliated with the controversial and violent hip-hop collective, Odd Future, and that with the style of music he makes, Ocean’s contemporaries are actually acts like Usher and Ne-Yo. 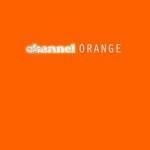 What’s most striking about Channel ORANGE is how unlike most modern-day R&B singers Frank Ocean is. His style, his vocals, his grammar and his unwillingness to self-mythologise are extraordinarily refreshing. In fact, Frank Ocean may be the only R&B artist who you’d like to hear talk about themselves more. This doesn’t mean he’s entirely a closed book though; indeed, first track proper Thinkin Bout You displays a naked vulnerability that’s as disarming as it is eloquent. Throughout Channel ORANGE, Ocean shows what a good ear he has, as he pilfers from other musical genres and adapts them to fit his own style. Soul, funk, hip-hop, pop and blues are all subsumed into Ocean’s world and become part of his polished aesthetic. The results aren’t always as spectacular as you might expect – with a few notable exceptions, Channel ORANGE is solid rather than spellbinding – but his magpie instincts look set to ensure his longevity. It’s an incredibly strong album lyrically though; we may not know how autobiographical it all is, but there’s a strong sense of a lack of fulfilment, especially when accompanied by copious amounts of wealth. Sweet Life (co-written with Pharrell Williams) builds into a huge chorus about someone who’s “had a housekeeper and a landscaper since [they] were born” before the haunting and melodious backing vocals frame the throwaway yet revealing line: “my TV ain’t HD – that’s too real”. Fellow Odd Future associate Earl Sweatshirt joins the pity party on the ponderous Super Rich Kids – “point my clicker at the tube / I prefer expensive news” – an almost satiric tune that threatens to end in tragedy (“We end our day up on the roof / I say I’ll jump – I never do”). It’s so incongruous against the crass commercialism and consuming greed that pervades so much of popular culture that it’s astonishing. Of course, we then have the mind-melting epic that is Pyramids; the track Ocean previewed in advance of this album (yet another unlikely move). For the uninitiated, Pyramids is a near ten-minute epic that starts life as a funk-induced behemoth captained by the catchiest riff you’re likely to hear all year before imploding and finishing up as a smooth jam. However, there’s far more to it than that. It’s a morality tale; an intergalactic story of glamour and Ancient Egyptian excess that eventually morphs into a detached rumination on the daily grind of being a stripper. The pyramids are no longer a symbol of prosperity, but the local strip bar. Ocean repeats the phrase, “she’s working at The Pyramids tonight”, with such frequency, that stripping sounds like the most humdrum and least appealing profession in the world (yet another shot in the eye for more “traditional” R&B tropes). It’s an exhausting, exhilarating tour de force that’s difficult to surpass and the album undoubtedly loses some steam after the zenith of Pyramids. Actually, it’s fair to say that the last third or so of Channel ORANGE is a little on the dull side. There’s nothing inherently wrong with the songs on offer, but they have little to hook you in or get the pulse racing. The appearance of André 3000 on Pink Matter brings a welcome extra voice into play, but the business end of Channel ORANGE is overlong and self-indulgent. By the time the album peters out with the lacklustre End, your attention will have likely wandered elsewhere. Despite its faults, Channel ORANGE still marks Frank Ocean out as an intriguing and exciting artist. It’s a contradiction in many ways: a far-from-perfect album that suggests a long and prosperous career; an artist without an exceptional voice who looks like he will instead become an exceptional voice. We’re going to be hearing a lot more about Frank Ocean in years to come – let’s hope we’re hearing about his music and let’s hope it’s better than this.